Flavvors at the recently opened Orange Tee Building is a welcome addition to Toa Payoh’s Chinese fast-food turf of food courts, kopi tiams and the ubiquitous Crystal Jade Restaurant. 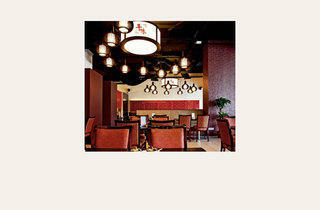 Boasting a two-tiered, red-themed dining space with chairs beautifully upholstered in Oriental motifs and an enormous, black-rimmed lamp, the partially glass-wrapped restaurant feels, at first glance, more like a pricey Chinese restaurant. 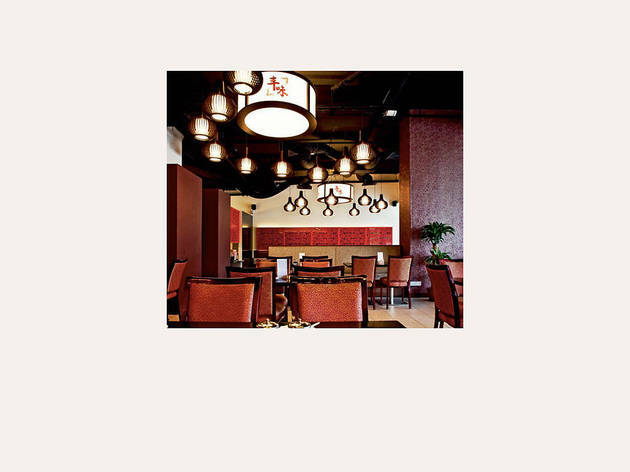 But we were quickly won over by the concise yet sumptuous menu of affordably priced, non-denominational Chinese food – neither Cantonese nor Teochew – among them, a mound of XO sauce-licked fried rice with bits of perfectly fried salmon cubes. The dish, while big enough for four, is just $8.80. The xiao long bao (soup dumplings) were delicious meat parcels bursting with a satisfyingly savoury pork jus, while the Japanese pear and chicken soup was an addictively tart-and-sweet consommé with white fungus and wolfberries.